Iranian President Hassan Rouhani says conflicts between neighbouring states, particularly the one between Qatar and other Arab countries, should be resolved through dialogue. In a Tuesday meeting with Qatar’s parliament speaker in Tehran, Rouhani underlined that the Islamic Republic of Iran will always stand up for the Qatari government and nation. “Today, there is a strong will on both sides to expand bilateral relations between Iran and Qatar,” Rouhani said, urging the officials of both states to spare no effort in deepening Tehran-Doha ties in all fields. 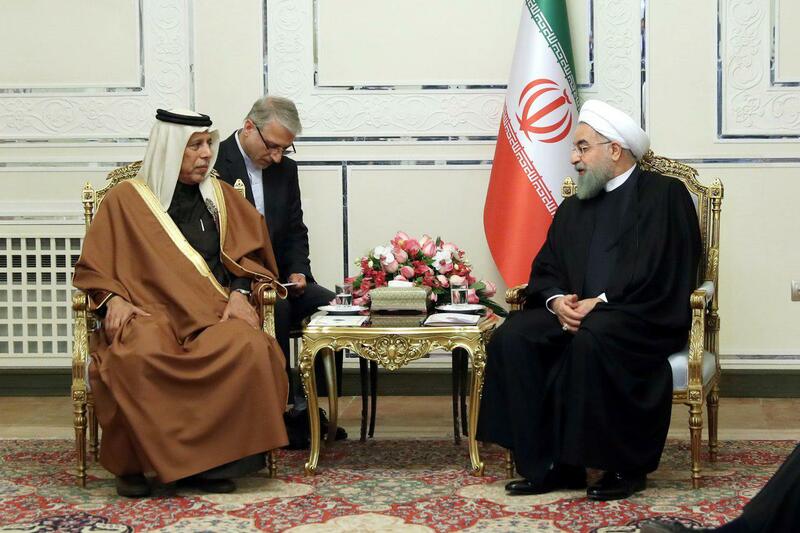 According to a Farsi report by the Iranian president’s official website, Rouhani stressed that Iran will never accept that the Muslim nation of Qatar comes under unfair pressure by the enemies. “Iran and Qatar have had friendly and brotherly relations throughout history and have stayed with each other at harsh times,” Rouhani added. For his part, Speaker of the Advisory Council of Qatar Ahmad bin Abdullah Al Mahmoud appreciated the Islamic Republic’s support for the Qatari nation and government particularly during the recent tension in the region. “We are delighted to see that Iran and Qatar have established their bilateral relations based on friendship, brotherhood and neighbourhood,” he said, adding that the two sides should attempt to expand their current relations as far as possible. The Qatari government maintains that any conflict in the region should be resolved through dialogue and mutual understanding, he added. “Today, thanks to the support we receive from our friends especially Iran, we are standing against the malice and nasty plots of our enemies,” he added. The Qatari official is in Tehran to attend the 13th Session of Parliamentary Union of the OIC Member States.